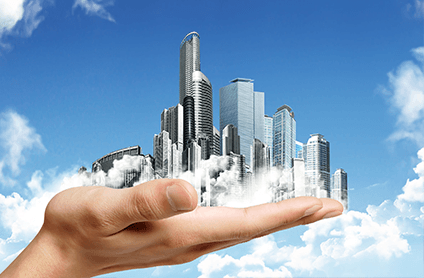 AARE offers a complete range of services within Real Estate. Our experts have vast experience from handling day to day real estate transactions to complex legalities and vastu compliance management. At AARE, our agents are fully qualified to provide the best advice to our clients. A quick snapshot of our services is below. At AARE, leasing is not just about the transfer of utility rights on property – it is an ongoing collaboration of property owners and tenants that fulfills the dynamic needs of a whole spectrum of people. AARE leads the industry with its revolutionary concept of Property Supervision services, expressly designed to service the evolving landscape of the UAE rental and corporate housing markets. AARE’s excellent professional network provides our clients with the latest insider info on the best rental homes, apartments and villas, and modern town houses for lease in prestigious locations around the UAE. AARE’s all-inclusive database gives you access to hundreds of luxury UAE rental houses and villas. You can narrow down your search based on price, features and location, and even down to specific areas of the city to find the home rental that’s just right for you. Our comprehensive website uses an advanced search system, which makes it the best place to get information on the rental properties in Dubai. Moreover, AARE’s leasing specialists help you zero in on the best deals that match your specific needs. At AARE, we understand and respect your individual requirements when it comes to buying a property. Whether you are an investor or an end-user, you can be sure that, with us, the process of purchasing a property in the UAE is as smooth as it is fast. Our up-to-the-minute record of information on properties available for purchase across the UAE, combined with our dedicated and professional team of consultants ensures that you have the best options to choose from. Walk into our office, or just pick up the phone to talk to one of AARE’s efficient team of Real Estate Consultants and tell them what you are looking for – and rest assured that you will find a property that fits your style and budget. If, for some reason, what you seek is currently unavailable, there is no need to despair. We keep constant track of the market, and as soon as a new property is up for sale, we will get in touch with you with the details. Thinking of selling your property in the UAE? At AARE, we understand the urgency of your needs, and our in-depth understanding of the market trends translates to speedy deals and value for your assets. Our excellent networking with real estate agents, developers and mortgage companies enables us to process your deals swiftly and efficiently, ensuring that funds are accessible to you just when you need them the most. Regardless of the type, size or condition of your property, AARE assures you profit in return of trust. Vastu is an ancient science of architecture which signifies a congenial setting in apartments, villas, retails and even offices. For most of the people, owning a home is a once in a lifetime experience, therefore the investment has to be perfect from every aspect. At AARE, our vastu experts can guide through with the architectural changes if required to make the property vastu compliant. Our expertise in the Dubai real estate market over the past decade has carved a specific niche for us: becoming the one stop shop for all things real estate. Over the years, we’ve worked with many developers across a range of different projects, and we’ve done so exclusively. Our solid understanding of the consumer, need gaps in the marketing and industry exposure has helped us in positioning a product in a strategic manner. AARE boasts of a full-fledged marketing department and an experienced sales wing. So in effect, we work as an outsourced marketing division for our developers and then support them in providing a dedicated sales team. Experts at AARE are well aware of ins and outs of real estate investments. At AARE we ensure that your investment not only nourishes great yields, but also gains capital appreciation.